Home › Latest News › Harley-Davidson® Tyger Valley supports Save the Rhino! Harley-Davidson® Tyger Valley supports Save the Rhino! Harley-Davidson® has for years been an active supporter of Save the Rhino. With the support of customers and H.O.G.® members, the Dealership contributes financially to the comprehensive anti-poaching efforts at a Private Nature Reserve in the Lowveld. 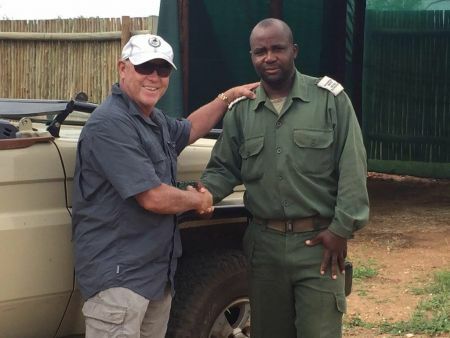 Pic: Pete Acheson with Olws, a member of the anti-poaching patrol team at the reserve. Harley-Davidson® Tyger Valley is committed to the fight against rhino poaching, and to the preservation of these animals.